***Enjoy both the quiet and serenity of this garden STUDIO apartment, with its own private patio for cosy outdoor dining, ideal for all couples, and young families. ***Close to all major attractions around Taupo. ***Take in the wide views of beautiful Lake Taupo and the snowy mountains - Ruapehu, Nguarahoe and Tongariro. ***Try Trout fly fishing in nearby Waitahanui stream, If you wish we can provide guided tours of all fishery waters. Prepacked "home" lunch basket. ***We have a hot/cold thermally heated pool (subject seasonal availability), alternatively the DeBrett's thermal pools are only one kilometre walking distance away. ***Nearby Mt Tauhara is a worthwhile walk and easy tramp. ***This is a holiday bach with a difference. ENJOY ! ***We are available for free pickup from local airport or intercity bus terminal. "such lovely setting, garden beautiful and the lake so close. We have enjoyed..
One night stays permitted, but surcharge applies--.Basic NZD $115 for ONE night ONLY for 2 Adults and Children,.... plus $10 per additional ADULT..
Pets Allowed ONLY with prior approval, sheltered outside accomodation on site. You only need to ask the hosts about any special requests and services. We are happy to assist where possible, with anything to make your stay even more enjoyable. Was very cute and tidy as! Hosts truely made us feel welcome. Mike and Carol were gracious and gave tips on attractions. The nearby botanical gardens were in peak rhododendron bloom. Absolutely beautiful!- as were the gardens and views outside the bedroom window. 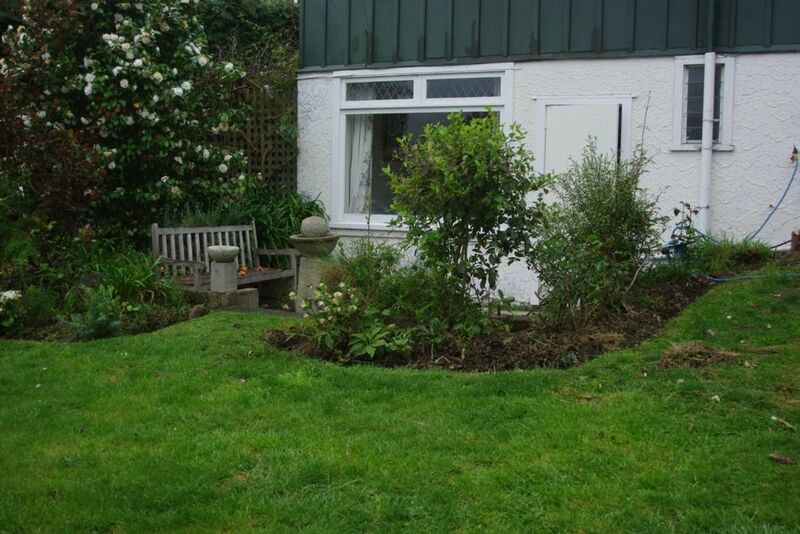 A beautiful garden and well equipped studio apartment. A beautiful garden and well equipped studio apartment. Really comfy bed and warm cosy place. Would definitely stay again and recommend to others. Ideal and private location with a peaceful garden and restful views to the lake. Ideal and private location with a peaceful garden and restful views to the lake. Perfect little home for our family weekend away. Even had friendly dogs to greet us and pat :-). We would love to return and will definitely recommend. Beautiful garden and super comfortable, clean property.